Mold is a common household problem that is important to address. If you think that you may need mold removal in the Hamptons, then read on for some essential information about mold . Mold often grows in specific conditions. In many cases, mold starts to grow in a home when mold spores find themselves in a dark and damp environment that has little air flow. These conditions are ideal for the growth of mold. For this reason, it’s common to find mold growing in places like damp basements or attics that have water damage. Mold can be a sign that you have water damage. Because mold loves to grow in damp areas, the presence of this type of fungi can indicate that there is moisture where there shouldn’t be. For example, cracks in your foundation, roof leaks, and damaged plumbing can all lead to a mold problem. Before you schedule mold removal services, it’s essential to deal with any sources of excess moisture. Mold can affect your family’s health. While many people think of mold as an issue that smells bad and looks unattractive, exposure to mold spores can cause an allergic reaction in some individuals. People who are allergic to mold can experience symptoms like hives, itchy eyes, coughing, shortness of breath, a runny nose, and wheezing when they’re exposed to the spores. Mold remediation should not be delayed. It’s not uncommon for homeowners to disregard mold when they find a patch of it in their attic or basement. However, ignoring this type of problem can lead to much bigger ones in the future. If your home’s mold growth is the result of a water leak, then ignoring the issue can result in further damage of your property’s structure and your belongings. Also, ignoring mold gives it a chance to keep spreading throughout your home. 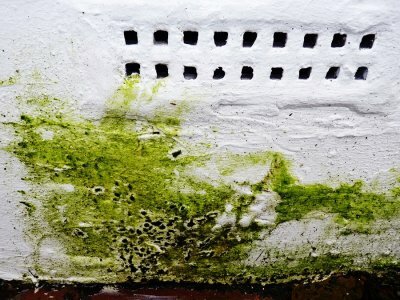 If you’ve found mold in your home, then contact a mold removal company as soon as possible to learn about your options.